Whether it is a touch screen or monitor screen cleaning is needed regularly to stay in sparkling condition. 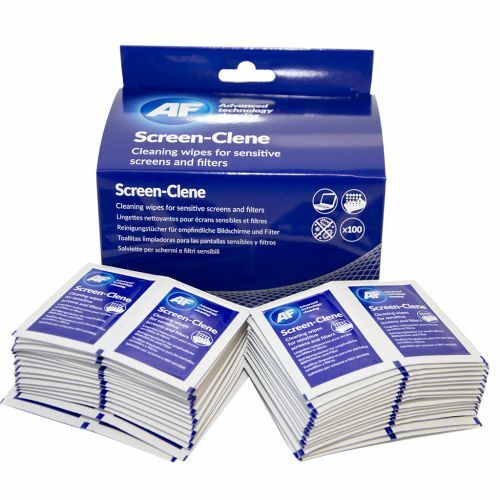 AF screen clene wipes are 100 individual screen cleaning wipes impregnated with a gentle non smear alcohol free solution for all of your touch screen devices. They remove built up dust and stubborn grease to leave a clean finish. Also available in a convenient tub to lock in freshness. AF has developed products for glass and soft screen technology. Dirt, dust and greasy fingerprints make screens difficult to read and ultimately lead to eyestrain and headaches.